I was bequeathed an overload of strawberries from the Périgord – short answer: I bought four baskets and the vendor, whose booth I shop at often, threw in two extra for free, an unspoken equivalent of a carte de fidelité in Paris – so I’ve spent the past few days washing, hulling, cutting and cooking my unexpected bounty. I’ve been making a number of things with them. And while I was chopping and thinking (which are probably the only two activities that I’m able to do at the same time), I realized that while I have a Strawberry-Rhubarb Jam recipe on the site, I didn’t have a strawberry jam. So here it is. Although I’m giving you a recipe for the amount of strawberries that I used, you can use the same proportions if you have just a basket, or a bushel. You’ll just need to do a slight amount of math. Only the cooking time will change, so keep an eye on things. Jam-making is not something you walk away from and you need to rely more on look and feel, rather than exact times. Another thing about jam-making is that fruit and berry jams are always better made in small batches; the shorter the cooking time, the better the flavor. So if you have more than 2-pounds (900g) of strawberries, consider making jam in a couple of batches rather than one big one. Many traditional recipes use an equal amount of sugar to fruit, by weight, but I find it’s okay to decrease it to these proportions. Sugar is both a thickener and a preservation agent. 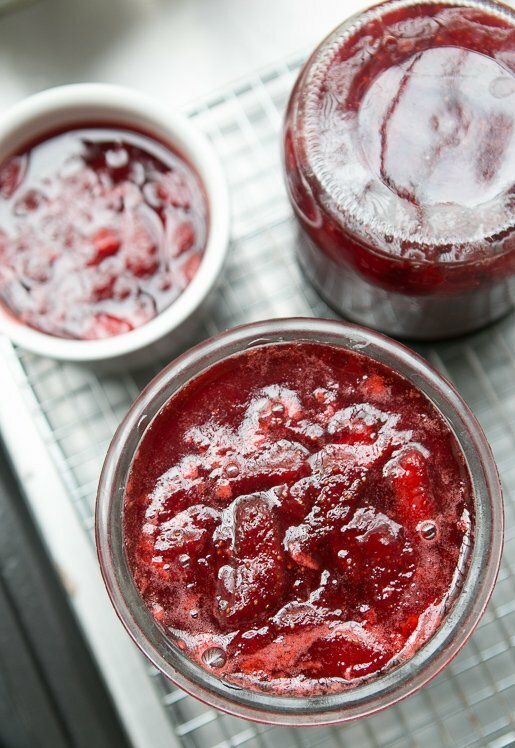 If you reduce it too much more, your jam may not thicken and won’t keep for a long time. (Which is okay if you want thinner jam, you keep it in the refrigerator, and eat it relatively quickly.) This recipe can be scaled up or down, depending on how many strawberries you have. But if you want to make a lot more, best to make it in a couple of batches. To prepare the jars, pour boiling water into them, as well as into the lids. Let them sit 5-10 minutes, then carefully pour out the hot water and set them upside down on a cooling rack until ready to fill.Since I keep my jams in the refrigerator, I don’t put them up them in a traditional sense. I usually just overturn the jars and let them cool, which provides a reasonable seal, then refrigerate them. I find my jams keep well this way for up to one year. Check the National Center for Home Food Preservation website for instructions on how to can fruit jams.Note: Last season strawberries tend to have less natural pectin than ones that arrive earlier. So your jam may be less jelled. One strategy is the finely grate a green apple into the strawberries before cooking them, which adds pectin. 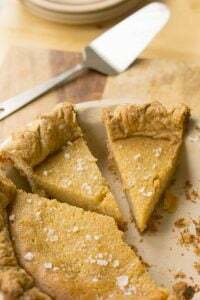 (There are guidelines here for using liquid and powdered pectin.) 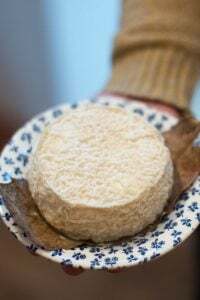 I don’t mind the slightly runnier jam and it’s terrific on yogurt or served with fresh goat cheese for dessert. 1. Wash and hull the strawberries and cut them into quarters. If some are larger or smaller, just make sure the pieces all about the same size. 2. 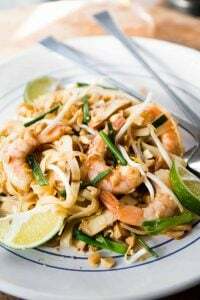 Toss them in a large pot, such as a Dutch oven casserole made of a nonreactive material, with the sugar. Cut the lemon in half, squeeze the juice into the pot, and add the lemon halves to the berries. Stir well, cover, and let sit a couple of hours (up to 8 hours) at room temperature, stirring one or two times while they marinate. 3. Put a small plate in the freezer. Turn the heat on under the strawberries to medium-high and cook the strawberries, stirring occasionally, as they reduce and the juices thicken. If a lot of foam rises to the surface, skim it away. When the syrup is the consistency of warm maple syrup – it will take about 10 to 15 minutes or so, depending on the pot and berries, turn off the heat and put a spoonful of the jam on the frozen plate and return the plate to the freezer. Check it in a few minutes; if it wrinkles when you nudge it, it’s done. If not, return the plate to the freezer and cook the jam a little more, testing it again. It may take a few times before you get it to the right consistency. 4. When the strawberry jam is done, remove the lemon and stir in a few drops of kirsch, if using, then ladle the jam into the prepared jars. Any time I’ve made jam, it’s been at someone’s farm and a sweaty all-day affair. I’d almost forgotten that I can make a few jars of something instead of a year’s supply. Thanks for the reminder that I can make jam in my downtown condo! Is the lemon acting as a pectin for this recipe? I made my yearly batch of your rhubarb-berry jam 2 weekends ago; fabulous as usual! I keep it in the fridge throughout the year, and come the dead of winter, I have something that tastes like summer. This also looks like a winner, so will give it a go. Thank you, David, for this recipe. 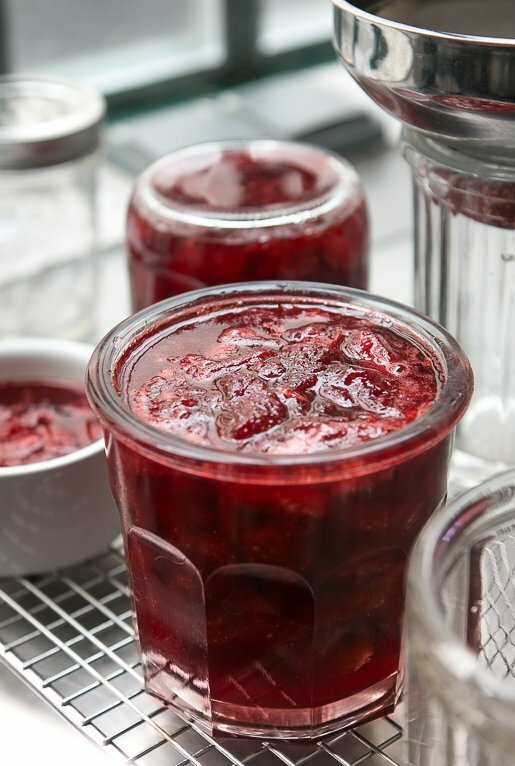 Marika: Classic jam recipes use equal parts sugar to fruit. I’ve used less than those proportions here. Debbie: Yes, but also for flavor. 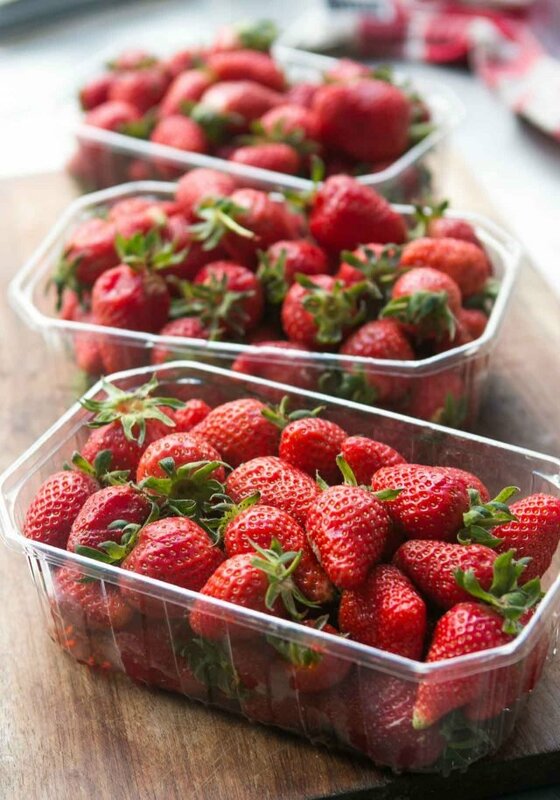 Less-ripe strawberries actually have more pectin, but don’t taste as good. I’ve sometimes poured some apple juice into the berries before cooking, which adds pectin as well. I was taught to make jam 45 years ago by a then elderly French woman who had, of course, learned from her grandmother, who in turn learned…well you know. Rather than skimming the foam off the cooking jam, she had me stir in a small amount of unsalted butter. Maybe a tablespoon for the amount you describe. The foam disappears. The taste of the jam is not altered. The sugar to fruit ratio I was told to use is 1/3 sugar to fruit. Oh course she learned to cook during the war when sugar was not available, but the jam was sweet. In France, there is a special “jam-making sugar” that has pectin in it and a lot of people use that. I went to their recipe for confiture des fraises, which calls for equal parts sugar and fruit and checked in my Madame Saint-Ange cookbook (aka: the French “Joy of Cooking”) and she uses equal weights as well. So interesting that the woman used less, but you’re right – she likely was from a time where sugar was harder to come by. My late Mother was a world-class strawberry preserves maker. (She left the strawberries whole.). She would buy a “lug” of early summer strawberries. Preferred them for making preserves as they had more intense strawberry flavor and contained more pectin. Later crop strawberries were more sweet, softer, better for eating. I found the lemon juice and rind addition in a book on jams and preserves published some years ago by Harrod’s in London. Their recipe also made excellent preserves. One other thing. I too do not process my jams, but store them in the fridge. I put the jars into a pot where they’ll be covered with boiling water, let them simmer for 10 minutes, tossing in the lids (rings) and caps at the last minute. I turn off the heat and leave all in the hot water until I fill. Big tongs are important. I pull the jars out singly as I am filling them, draining any water out. Hot jars dry themselves almost instantly. Another tool I couldn’t do without is a funnel thingy with a big opening, intended for filling jam jars. Mine is plastic. This is important because in order to get a good seal the rims of the jars must be pristine and dry. Not a trace of jam or syrup. I leave the filled and capped jars sitting upright on a towel. As they cool you can hear the lid caps pop as they seal. I also keep mine refrigerated. Boil glass container and lid before pouring the very hot jam to the top. Then turn them upside down till they cool down. And then in the refrigerator where they keep quite long. I put as little sugar as possible. Use either special Jam sugar or brown sugar or muscovado and always lemon juice. Lydia, I had the same feeling about jams. Such a big deal. The small batch theory is the best. And liberating. I have been known to make a very small batch with even sort of beat-up apricots or peaches. Cut out any iffy spots. Maybe ending up with one nice-sized jar. 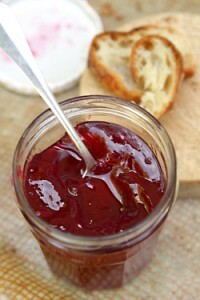 Re the filling of jars, be sure to leave a little head space on top of the hot jam. About 1/2”? I don’t understand the need for turning them upside down (unless it is an attempt to redistribute the solid fruits within the syrup?). Neither my Mother nor I ever did that. Filling with very hot jam and returning the jars immediately will create some kind of vacuum packed container, filling the little spaces left, therefore diminishing the mold risk. Excuse additional post, but have a look at this information on turning jars upside down after filling. No longer recommended due to potential for compromising seal. martinn and Bebe: I have read that that method isn’t 100% a perfect seal, which is why I recommend putting jams “sealed” that way, in the refrigerator. 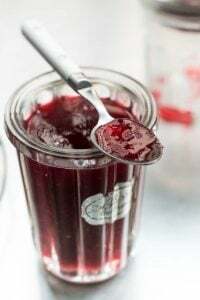 The sugar is a preservative, which is why jam in a good way to conserve fruit, but if jam shows signs of mold it should either be discarded or removed and recooked. and I have never been in trouble or sick. Of course it is part of the process to fill the jars to the top with very hot jam to leave as little space as possible. Then when you open the jar a few days or weeks later you can hear the “pop” showing that it was correctly sealed. Of course once opened, it does not keep long even refrigerated as we do not put too much sugar and certainly no preservative. I am very interested in trying your recipe. One thing I have learned from making berry jam in the past: Be sure the berries are not sopping wet when you begin the recipe. It is amazing how much excess water sits on freshly washed berries. It is enough to make a difference in the cooking time. To remedy that, I set the berries on paper towels after rinsing, and lightly dry the other side. It really shortens the cooking time. I’m not kidding!! I’m glad to see you recommend letting the fruit macerate for several hours before cooking. It makes a huge difference in the flavor of the jam. I got a large bucket of super ripe Camerosa strawberries last Saturday and whipped up quick batch of strawberry jam. Using pectin allows you to cut the cooking time down. I prefer the Surejel light which uses less sugar and allows the fruit flavor to shine. I further simplify the process by cooking 4 cup batches in the microwave in an 8-cup Pyrex mixing bowl. It is quick and easy. Next time I will add the cassis. I’ve been making jam (self-taught!) for last 9 years since moving out of NYC and have always used anywhere from 1/3 to 1/2 sugar to fruit ratio. I find that sun ripened strawberries are plenty sweet on their own. My jam turns out just a little thinner than what you find in the stores, but we don’t mind… Plus it’s amazing drizzled over vanilla ice cream! I’ve also always done the upside-down “canning” method and have never had any problems, even without refrigeration when storing. However, I’ve never thought of marinating the berries! And I’ve always added strips of lemon peel and find it a little bit of work to fish them out later. Your way is so much smarter!! Thank you. Will definitely be trying this recipe next month when strawberries are ready here in upstate NY! Hello Emily, yes whatever fruit I use I always “marinate” So the sugar gets soaked with the flavors. Especially if I add some other flavors ( such as pepper, orange, thyme) or white peaches + Verbena The flavors have to blend before cooking. Good stuff deserves some time doesn’t it ? I too try to use less sugar. Letting the fruit macerate first helps the sweetness of the fruit deepen. I always make sure the berries are dry and free of water (from rinsing), before using. I can mine for longevity (some for gifts). Orange is a great flavor enhancer for strawberry! I’m feeling the taste just from your yummy pictures…. My personal experience of ‘the best’ confiture is a ‘raw strawberry preserve’. I add just a small amount of really ripe & beautifully fragrant strawberries into my ‘mixer’, together with some sucre gélifiant (which I usually bring from Switzerland as I had trouble of finding anything adequate in Paris), I add a dash of cinnamon, some fresh lemon juice, and – if the devil rides me – a tiny amount of Kirsch, put the mixer on and allez-hop, in small jars, and in the fridge. No problem to keep because usually they just about make it to the next day or one after…. Please let me know when your next trips are. I want to go! Merci beaucoup!!! My Father taught me the 3+3 = 5 recipe. Works very well for true berry fruit, but also for a strawberry plus result (strawberries alone need added pectin in this case). The above equation is raw ingredients to final product. But these days I manage pretty well without weighing, I do it by the look of the mixture before bottling. Too little sugar, it goes off. Too much, the sugar recrystalises and you feel it by a “crunch” in eating the jam. I really hate the plate in the freezer test. I’d rather have a temperature to read on the candy thermometer. And I always can by the boiling water method. Who has enough refrigerator space to keep jellies in there? I have a big fridg on purpose . I only wish my fridge was big enough to store jam in, it’s full of a million jars as it is! Thank you, David, for your explanation that a shorter cooking time gives a better flavour. I knew that a smaller batch is supposed to be better (I usually do mine in the microwave) but I’ve never known why. i still have some of my strawberry jam from last year on the shelf, but this looks so much brighter! with the lemon and all. i’ll be coming into some strawberries very soon here if all goes according to plan, so can’t wait to jam it up with this recipe! Thanks for the trick with the frozen plate! Your jam looks lovely. I think I need a jar so I can smear it between cake layers (Golden Cake with Milk Chocolate frosting). There has to be cake for Memorial Day! Born and raised in Greenpoint, Brooklyn I had little chance of making jams. Now living in Hamburg, Germany, I am constantly making a small batch of something wonderful to share with friends. 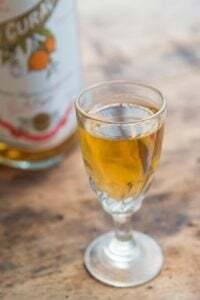 My tip for preserving – I learned from my Grandmother-in-Law, follow David’s instructions just before capping the glasses – here add a FEW drops of REALLY high precent alcohol – 92% from the Pharmacy- then light the alcohol and quickly twist on the metal lid. 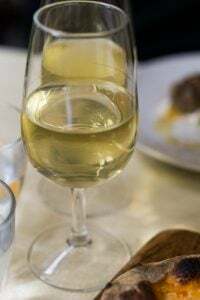 The alcohol will burn off and create a slight vacuum inside – no chance of bacteria growing in an anaerobic surrounding. Last opened a jar of quince jam put up in 2007 – the color was off, but the flavor was good and mixed into Marion Cunninghams Quince Pancakes = perfect. Thank you Monika for a precious tip. Another way to create vacuum and safe environment and maybe not as controversial as the upside down method. Thanks a lot. When you say drops do you mean 10, 20 for an average size jar ? or 5 mm ? and if I got it right, you close the jar before the fire is over … ? @Martin…I take about 10 drops…depends on fill level and space left til lid. So if the jar has a shallow shoulder less, if longer neck, then more…but in general we have “never” identified an alcoholic nuance on the jams. Hope this helps. Yes it does Monika, Thank you ! I don’t understand what people mean about canning their jam? Surely you just top the jar with a circle of waxed paper and then a cellophane circle (you can buy them for 1lb and 2lb jars in any decent kitchen supplies place and some supermarkets), and that’s that for the next year or so? I don’t think anybody in the UK ever does anything more – certainly none of our jam recipes mention anything more. Having said that, jam is nicer when it’s fresher so my mother and I tend to make small batches – 1lb of fruit – and freeze any excess fruit until it’s wanted. That way you can get fresh strawberry jam in the middle of winter. My daughter freezes any fruit left over at the end of a punnet, and makes jam when she has about 1lb or so of fruit. I sometimes buy commercially-frozen strawberries, which make very good jam! Or raspberries, come to that. Response to Jane: I made strawberry jam during our Memorial Day weekend and tried your suggestion to add a little unsalted butter to combat foam. It worked perfectly. Thanks. I, too, use much less sugar, to my taste. Now I have a new trick for my jam-making arsenal. Thanks Jane and David! @ Annabel “canning” jam is something Americans do for some reason. I think they are paranoid about food poisoning. 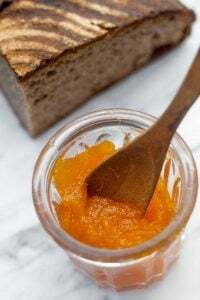 With the right proportions of fruit, acid, sugar and pectin, jam will set and keep for far longer than a year at room temperature and without sterilising. My mother turned our entire crop of raspberries into jam in 1964 and we still had perfectly edible (although the colour was not so vibrant) jam left in the cupboard when we moved house in 1970. Jam needs to be at least ⅔ sugar by weight to keep, and ½ – ⅔ sugar by weight to set, so ⅔ is the magic number for jam that both sets and keeps. Note these are final weights after boiling and include the sugar present in the fruit naturally. Jams made with less sugar need refrigeration or “canning”. Americans DO do a lot of canning, but virtually none (except the extreme nut jobs) do it out of a sense of paranoia. 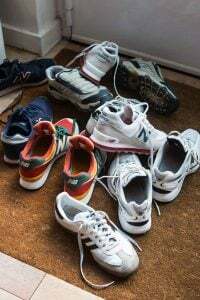 They tend to do it as a hobby, because their parents taught them, out of a (misbegotten) sense of economy, because they raise the produce they are canning, or because they have particular tastes that they feel they can only satisfy by doing it themselves. A few even do it to make a bit of money! But I don’t understand why it is thought necessary to can jam – after all, that’s why Americans call it “preserves”, isn’t it? If you pot it up in sterile jars, and seal it correctly, it keeps for years with no further processing (and it is sensible to keep it in the fridge once you have opened the jar), although it’s nicer if it’s younger. Many people in Europe, and around the world, make preserves – such as the people at River Cottage in the UK and in France. It’s not necessary (you’ll notice I don’t preserve/can this jam) but it does increase the shelf life if being stored at room temperature, especially if people want to decrease the level of sugar. I understood “preserves” and “jam” to refer to the same thing – they are certainly used interchangeably here. And however long do they want to keep their jam? It lasts several years without any kind of canning process, as long as it is put into sterile jars and sealed with a wax disc and cellophane circle. No further processing is either necessary or desirable. Lovely recipe – I, too, prefer a soft set jam that is not too sweet. Last year I made a Strawberry elderflower jam (http://www.growntocook.com/?p=2243) with just 500 g sugar to 1 kg strawberries and it was perfect. Also: I always sterilize my jars just by turning them upside down but do not refrigerate them. As long as the jars are clean, I find they will keep for a year, no problem. I covet your jelly jars. They are darling! Set up a little jelly jar export business?? I love them, too. They’re not inexpensive in France anymore and I usually pick them up at flea markets when I find them. Some are vintage, some just look like vintage! I’ve thought about selling some of the interesting finds I come across, but it’s daunting to deal with all that stuff. There are people on Etsy that sell items from France like these and you might want to check there if you’d like a few. Hello I am not David but I’d recommend to buy either Fraises des Bois the small wild ones, or Mara des Bois or Anais but Anais is very expensive 12 € for a small package. Contrary to one previous post , I think that best preserve or sherbet/ ice creams are made with excellent sweet and ripe fruits. I made this yesterday..it is delicious. I have been making jams for many years..last year I made a few of Christine Ferber’s,and they were very good also. This one was so easy..and you had me at cassis.That’s what differentiated it for me.. It just adds the perfect little:’what is that? I had to cook mine a bit longer..but it was perfect..not jelled:) Just right..runny. I have seen you mention the trick about putting the jam on the cold plate to see if it is the right temperature, but for those of us who have candy thermometers but don’t have unlimited supplies of small dishes to freeze for the process, what is the temperature you are aiming for when cooking the jam? Thanks! Hi Steve: Yes, you’re right – Americans put up food as a hobby (like some people bake, because they enjoy it!) Most jams jell at around 218-220ºF if using a candy thermometer, but sometimes it’s a bit before it hits that mark. You only really need one cold plate – after all, your senses will tell you when it’s beginning to thicken up, and it doesn’t drip so fast off the spoon. When I was taught to make lemon curd as a child, the rule of thumb was “when two drips fall off the spoon at once, it’s done”, and that is pretty much the rule for jam – once it starts coating the spoon, it’s time to test it. Takes about 5-6 minutes. While I love the taste, mine did not set up, even after 45 min! I did double your recipe, using a nice solid stock pot. One difference, though, is that I used evaporated cane juice and demerara sugars. Do you use white sugar? Do you think that could be the cause? Meanwhile, we’ll be enjoying some fantastic strawberry-topped sundaes, short-cakes, and angelfood cakes instead of jammy biscuits. I use white granulated sugar so can’t say what happens if you use those other sugars, with are unprocessed. I also did reduce the sugar in the recipe but if it didn’t set up, you can perhaps add more sugar (I normally use 3/4 of the amount of sugar per 1 part of fruit, by weight). 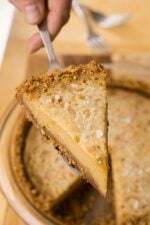 More on using other ingredients can be found here: Baking Substitutions and Ingredients. As strawberries ripen, their pectin is reduced so you can also add a bit of lemon juice, apple juice (or part of a grated green apple) to dial that up, too.